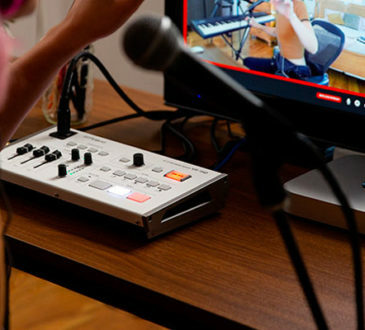 Both G-Technology and LaCie have announced new offerings that we’re excited to share with you. The new GSPEED Shuttle for Thunderbolt 3 is a 4-bay storage solution offering incredible speeds in a tough, portable enclosure with up to 48TB capacity. 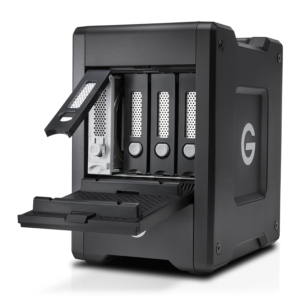 For demanding workflows that require the need to transport your storage from location to the studio, the GSPEED Shuttle is perfect. 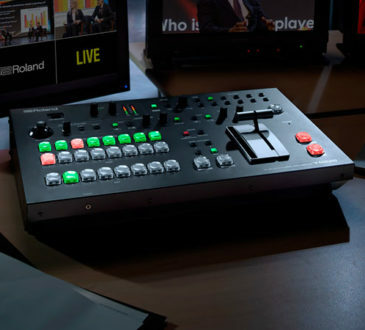 Optimized 4K and 8K support with a built in RAID controller offers several back-up options as well as providing the bandwidth to edit multi camera footage in real time. 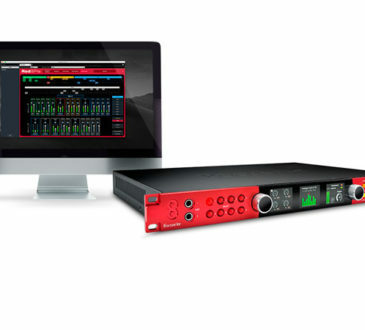 Dual Thunderbolt 3 ports enable you to daisy chain up to 5 additional devices and the removable Enterprise Class hard drives add an extra level of reliability. The GSPEED Shuttle for Thunderbolt 3 is also available with two ev Series Bay Adapters. 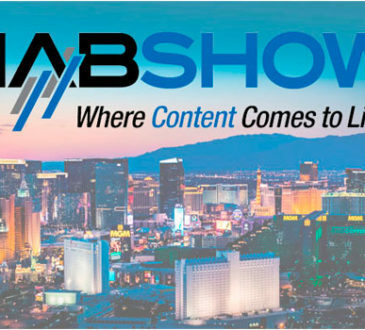 This feature adds even more flexibility by adding a simple and convenient way of offloading media with a wide range of ev Series drives and readers. 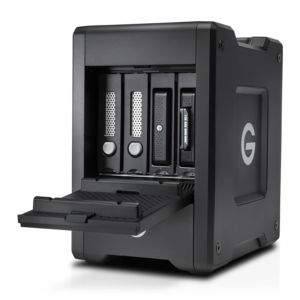 The GSPEED Shuttle with ev Series Bays is available in two capacities – 20TB and 24TB. Both the GSPEED Shuttle and GSPEED Shuttle with ev Series Adapters are available to pre-order now. 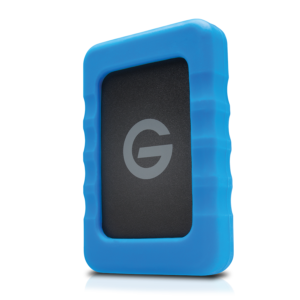 G-Technology have also added two new models to their popular G-Drive ev RaW range. 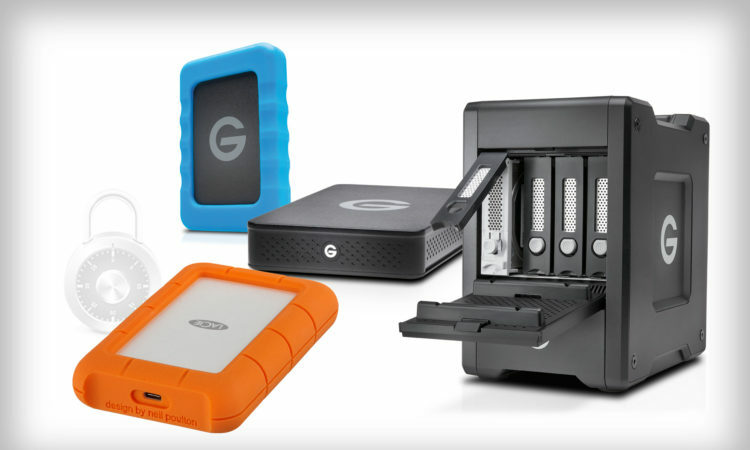 The 4TB Hard Drive and 2TB SSD models compliment the existing range and are an ideal companion to the new GSPEED Shuttle and are available from our Drive Store, expected In Stock early Feburary. 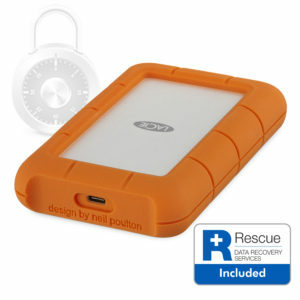 LaCie have introduced a new model to the well-known Rugged range. The Rugged Secure is a USB-C 2TB (USB 3.0 compatible) mobile hard drive with added security thanks to the magic of Seagate Secure Technology. The Rugged Secure allows you to transfer and transport your data and keep it protected from unauthorized access even when removed from the enclosure. The Rugged Secure also benefits from the usual features you’ve come to expect – rain, drop and crush resistance and even the added peace of mind from the 2-year Seagate Data Recovery Service. The Rugged Secure is shipping soon.